Most of us are aware of this quote Lombardi gave to every player, at the start of every season. It was Lombardi’s way of keeping his people focused on the basics. But did you know that early in his coaching career he followed that with “And that’s the last you’re going to see of it for two weeks.” Before the basics, he focused them on preparation. They reviewed the plays, worked out the details, and got ready to earn the right to work with the ball. I think we could learn from that. We’re always ready to jump in and get something done. Everyone else is on Twitter, so we’ve got to be on Twitter too. Even if we aren’t sure how to use it, or what value we gain. What would happen if we spent the time to learn about Twitter, and plan its part in your overall social network strategy. That two weeks Lombardi took in preparation paid off for both he and his teams. What could it do for you? I remember that hot summer day, when we were all glued to our TV sets, watching history happen. 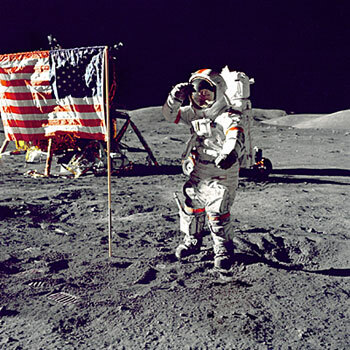 Yes, July 1969 was the first time man walked on the moon. But as monumentous as that event was, there’s a bigger, more important event that occurred eight years earlier. That’s when President John Kennedy made a speech to Congress and the nation about the need to put a man on the moon, important to us not only as a time in history, but as a model for setting mission. This is important to us because it’s a great vision of action. All of us in radio, from the Mays family down, are well-served by this model of successful mission statement. Next time you go through planning, pull out Kennedy’s speech and read it as well as the far more detailed analysis of it, and you’ll find yourself in a much more successful state.